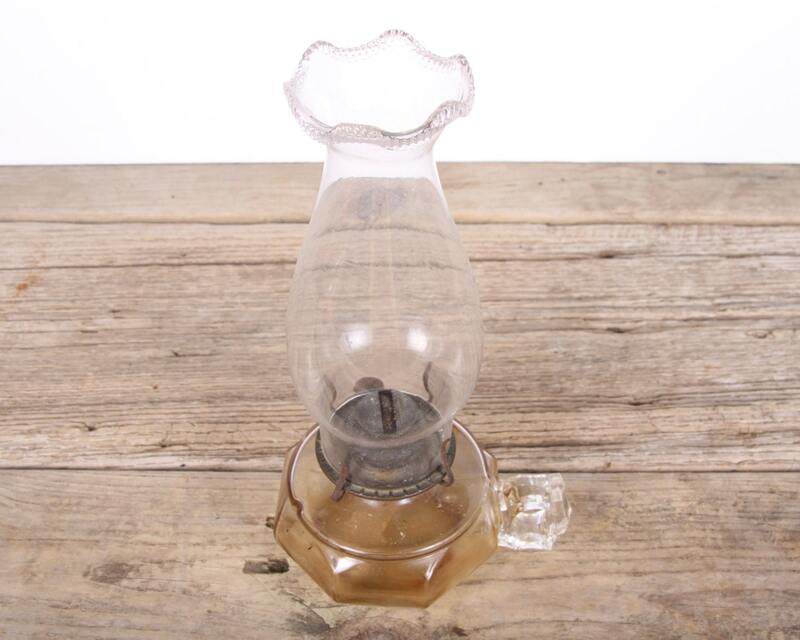 This is an antique eagle glass oil finger lamp! 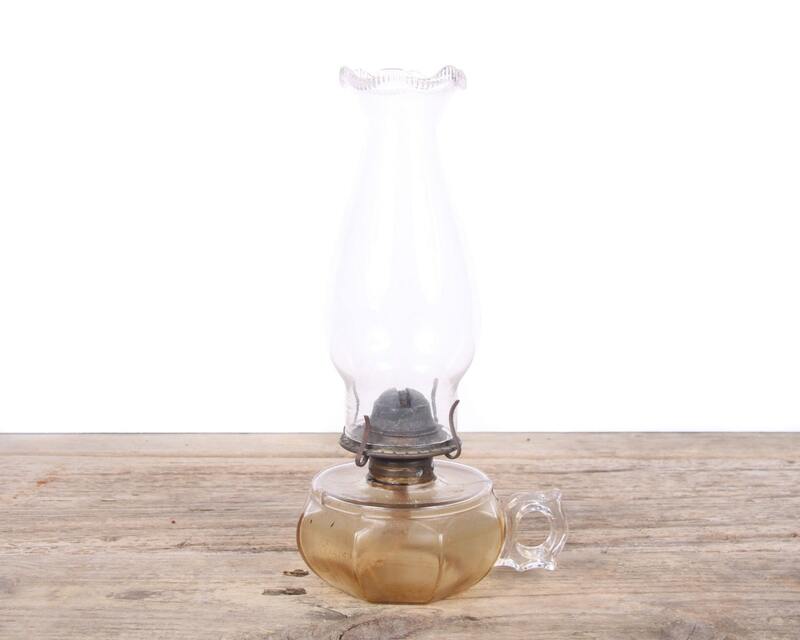 The beautiful clear glass lamp measures roughly 4.5" wide and 4.5" tall (to the top of the wick). 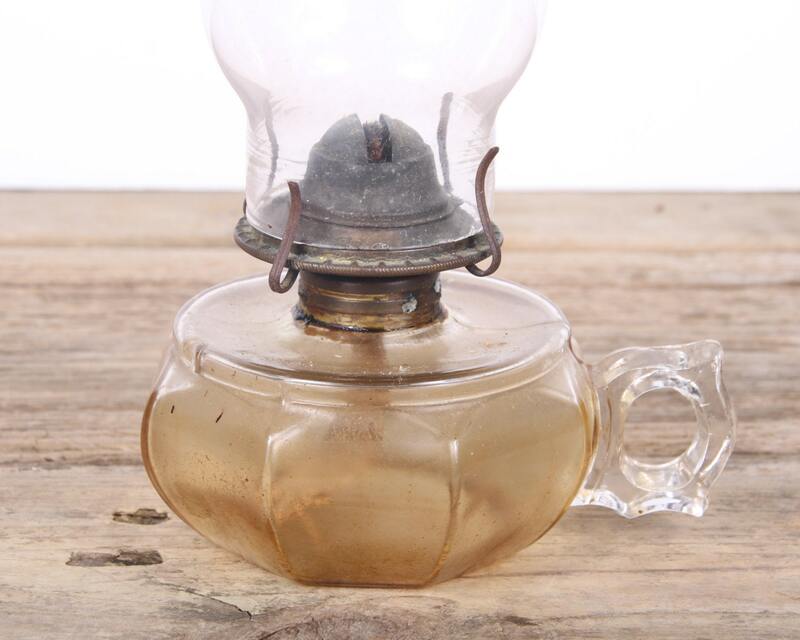 The globe/shade measures roughly 7.5" tall. Contact us with any questions! 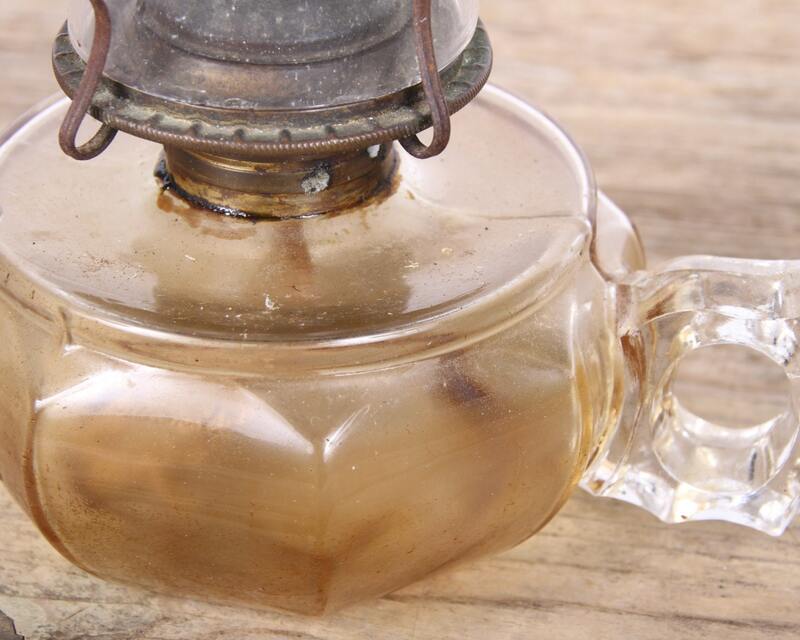 Note: There is oil residue inside the lamp.